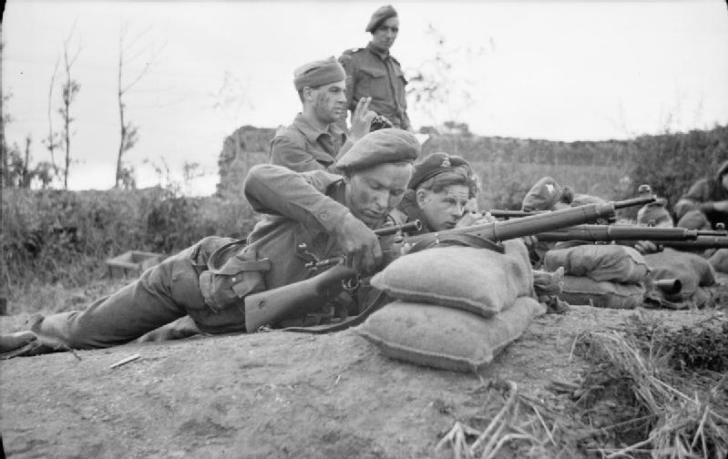 Snipers training at a sniper school in a French village, using P14 rifles with Periscopic Prim Co. Ltd Mod.1918 scopes (27 July 1944). 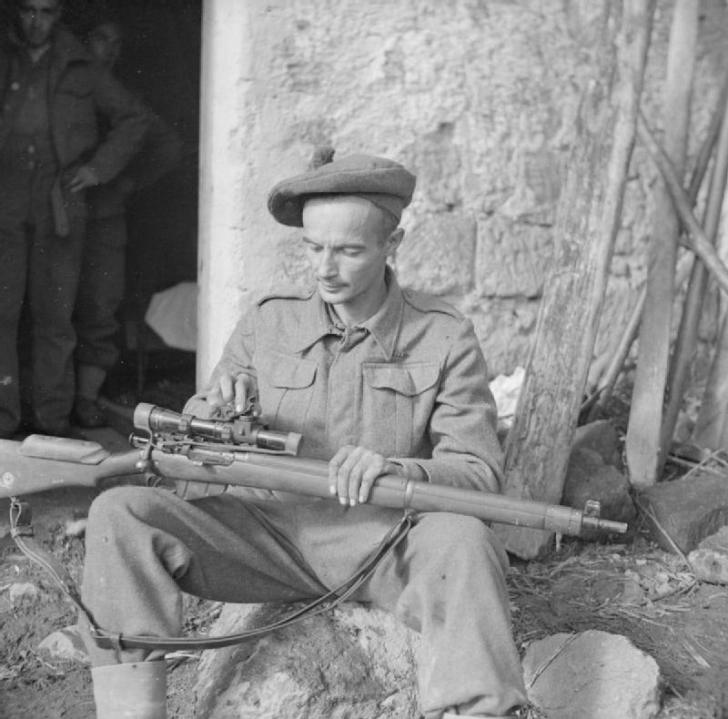 Lance Corporal A P Proctor, 56th Division, cleaning his rifle, 24 November 1943. 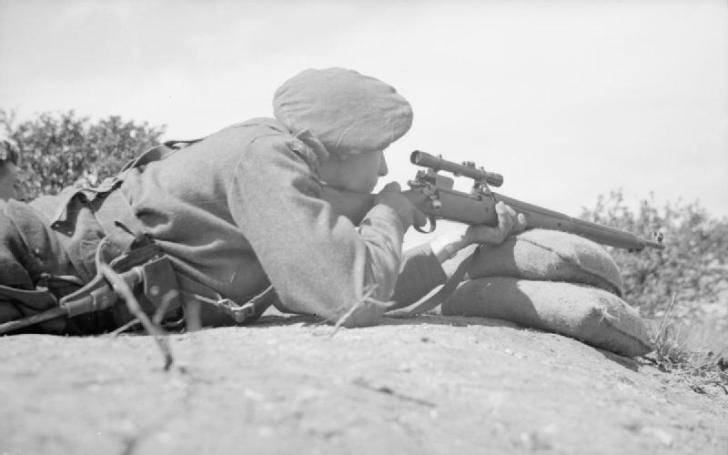 A hard to find P14 Periscopic Prism Co. LTD Mod.1918, probably mounted on Enfield SMLE or P14 during world War II or later.